Northwest Arkansas’ automotive landscape is changing – at least names. In a historic deal completed Monday, three local Everett dealerships will now be known as McLarty Daniel Buick GMC (Bentonville), McLarty Daniel Chrysler Dodge Jeep RAM Fiat of Springdale, and McLarty Daniel Chevrolet (Springdale). The acquisition of these three well-known dealerships doubles the size of McLarty Daniel in Northwest Arkansas to six locations employing a total of 600 people. All existing employees of the Everett stores have been retained in this transition. Investors in the deal include McLarty Daniel’s parent company, RML Automotive; the Daniel family; Blue & Silver Ventures; and JH Auto Holdings. The local managing partner for RML, Russ Daniel, has been an icon in Northwest Arkansas for the last ten years. The acquisition creates one of the largest and most capable dealership groups in Northwest Arkansas, Daniel said, and will allow a greater reach of community support. McLarty Daniel and Everett Automotive are both known in the community as great supporters of education, youth sports, and charitable causes. 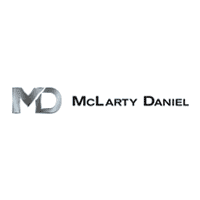 McLarty Daniel’s Attendance Is The Key program gives away 4 cars to local high school students for the 2017/2018 school year. Everett Buick GMC has been in operation in Northwest Arkansas since the Everett Automotive Group’s acquisition of the location in 2008. In the intervening time, the great team at that location has won a series of accolades and put a great number of vehicles on the road as Northwest Arkansas’ number one Buick GMC dealer, and one of the top 15 Buick GMC dealers in the nation. Thom Stathakis will remain General Manager of the Bentonville location. Everett Chevrolet, formerly Frank Fletcher Chevrolet, has been the top Chevy store in the state for the last seven years and is well-known in Washington County for sponsoring local high school teams as well as local fishermen. General Manager Eric Bertrand expressed his sincere thanks to all the years of Everett ownership and says he looks forward to the success of his team now wearing the iconic “MD” of McLarty Daniel. Everett Chrysler Dodge Jeep RAM Fiat of Springdale is the only FCA dealer in the state of Arkansas to win the prestigious Customer’s First award for three years in a row. General manager Tracy Harmon brings 30 years of automotive experience to the table and will remain as will the rest of his staff. Central Arkansas’ Everett Auto Group is owned by Dwight and Susie Everett, Chad Hendrix and Brandon Hudspeth.